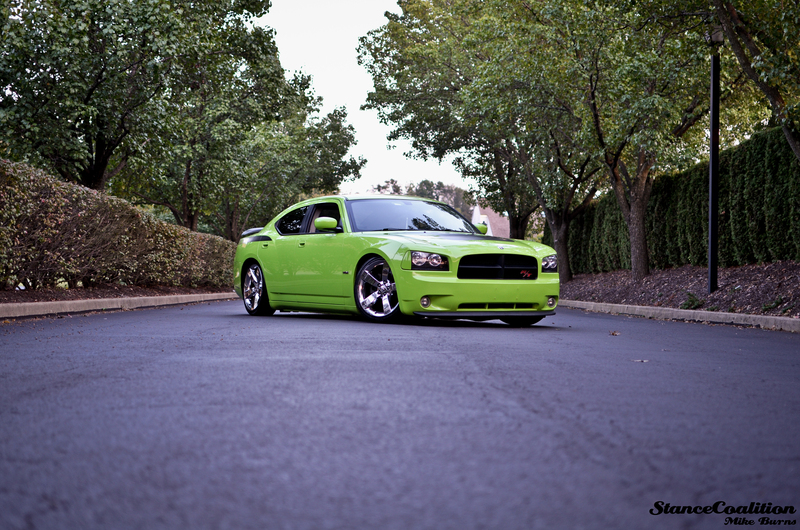 Mike Burns’ Dodge Charger always caught your eye with the bright Sublime Green paint. 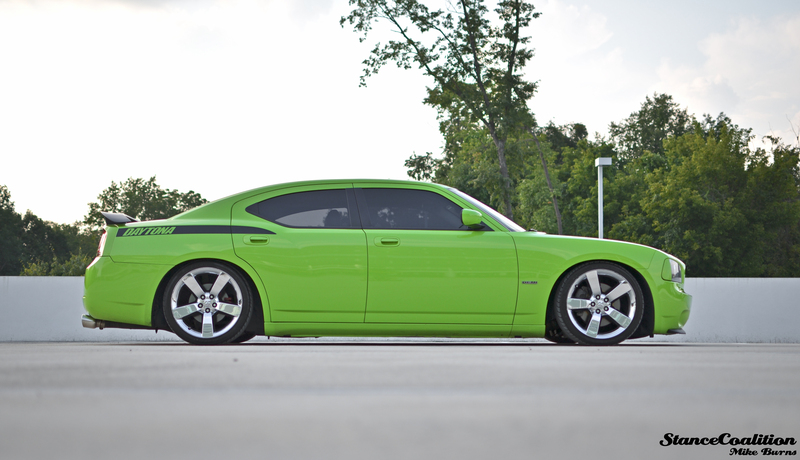 Mike came to us about a month ago asking for some help putting on his coilovers and we were down to help for sure! But, let me say this, I have never worked on a car with such a difficult suspension setup! I’d like to stick to my Japanese cars from now on! 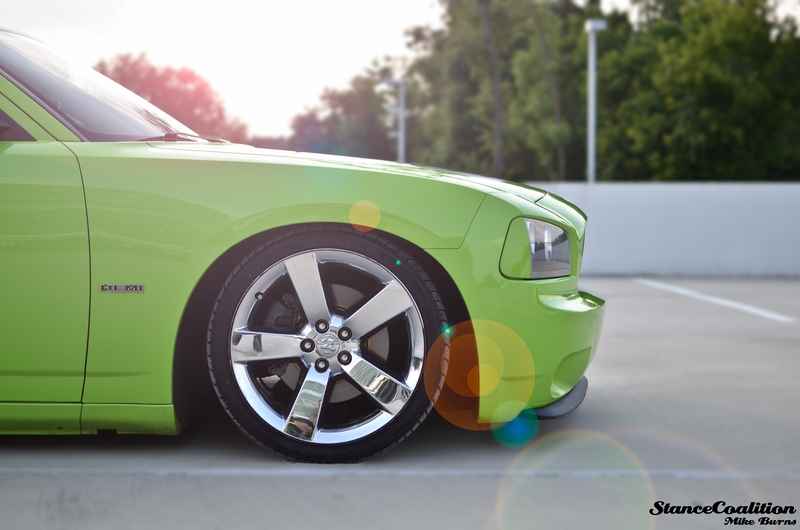 Maybe these suspension setups are why people rarely lower these cars…However, when they are lowered, they look absolutely awesome! 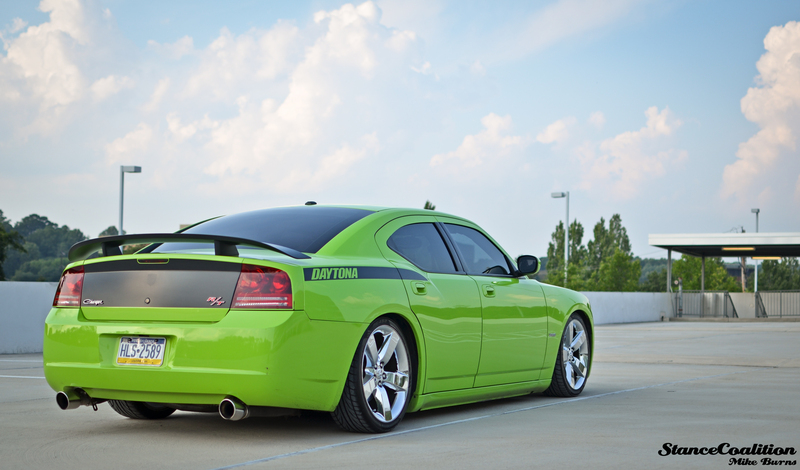 Mike has been shooting for us since the beginning so his car has been dubbed the “StanceCoalition Charger”. Enjoy! I bought the car back in October of 2010 with only 13K miles on in pristine condition. 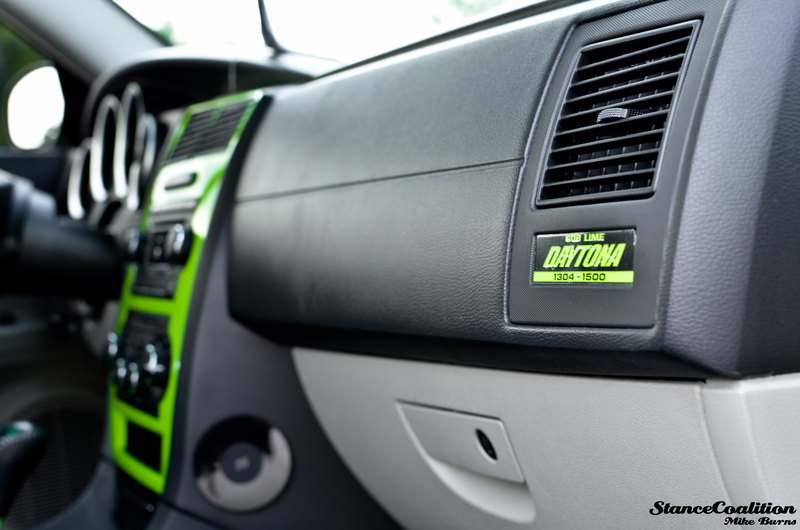 The car is a limited production Daytona edition and only 1500 were made in Sublime green. I have number 1304. 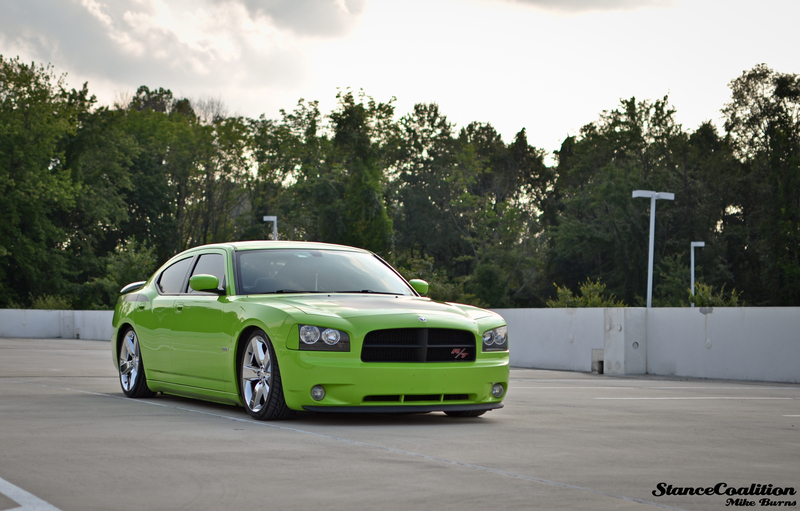 I’ve always been a fan of Mopars, especially the charger and when this model and color released, I knew I had to have it. The car is slightly modified. I have an aFe Stage 2 intake, Flowmaster Exhaust (now custom straight pipe), Diablosport Predator performance tune, Street Edge Coilovers, and some cosmetic mods including the custom painted tail lights and corner lights that I painted myself. Stancing this car has been my main goal since day one. I purchased my coilovers a month ago and the StanceCoalition guys helped me out with install. I’m running Street Edge Coilovers and 245/35-20 Falken FK 452s for a total drop of 2.5” all around. I’m looking into a new set of 22×9, 22×10 Viper Replicas in a machined finish which will set the car off nicely and give the car that perfect fitment. 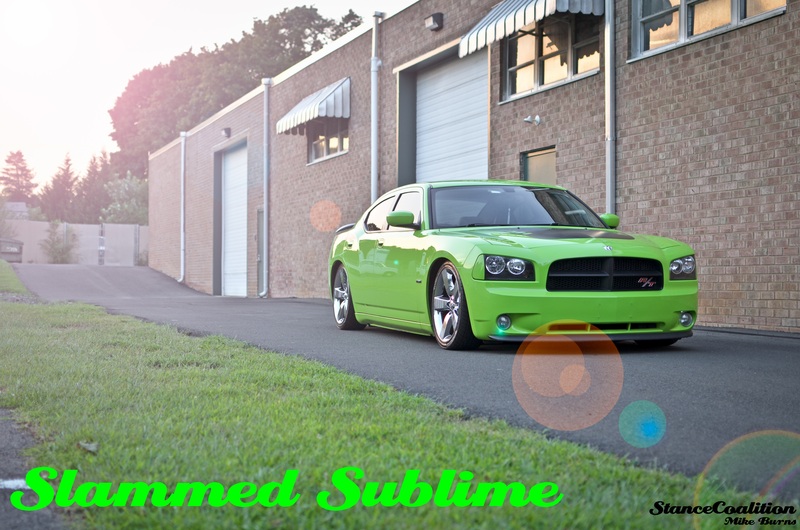 Some future mods I have in store for the car are the wheels of course, longtube headers, Spartan Cam from Inertia Motorsports, and some other little things. 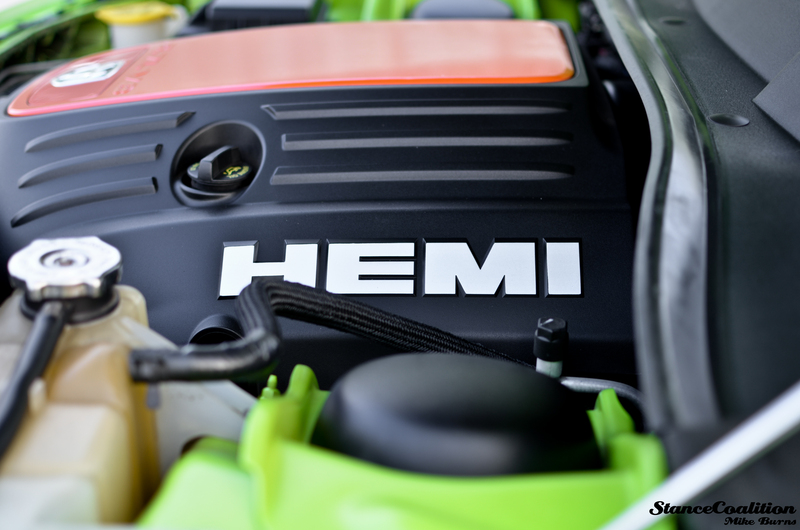 I want to keep the car simple on the outside with big performance under the hood. A big goal I have in store that isn’t going to happen for a long time is a 426 Hemi swap as the current motor builds a lot of miles on it.. So stay tuned, big things to come!